de keuze van de fan: Yes, he is very hot!!!! Silly vraag is Anakin/Darth Vader on your top, boven 5 ster Wars characters ? Would u want to have Anakin as a husband if u were his opposite gender? 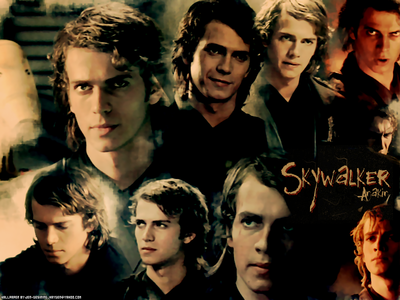 Do u like young Anakin, Padawan Anakin, of Jedi Anakin?? Do u think Anakin and Padme is one of the best love stories ever? de keuze van de fan: Yes!! What ster Wars novels feature Anakin (not Vader) as a main character, besides the prequel movie novels? ok,so i picked up some rumors about ster Wars. i can tell u that they are not true. NO Lucas is NOT making new films based off of Han and Lea's children. No, the boeken that OTHER authors wrote are not true. hello all i was browsing the picks when i came across fireworks123's pick about who anakin had the best realtionship with and i found it so interesting at first i thought it would be a no brainer but looking at the choices i saw that each and everyone of them really shaped anakin in who he was and things he did so i decided to write an artikel exploiring his relationships and their importance. A nice article/defense of anakin skywalker. a pop quiz question was toegevoegd: What was Padme's full name? Which quote did Anakin NOT say? "I had a dream that I was a Jedi. I came back and freed all the slaves." "I will be the most powerfull Jedi ever." "My mother, I can't save her." "Is it possible to learn this power?"